Youtuber Juan del Real shot this video of a Tesla Model X being tested at the former naval air station in Alameda California about 30 miles north of Tesla's factory in Fremont. Based on the size of the Model S in the background, Jalopnik think the camouflaged prototype looks too small to be a Model X and believe this may in fact be the first sighting of a Model 3. 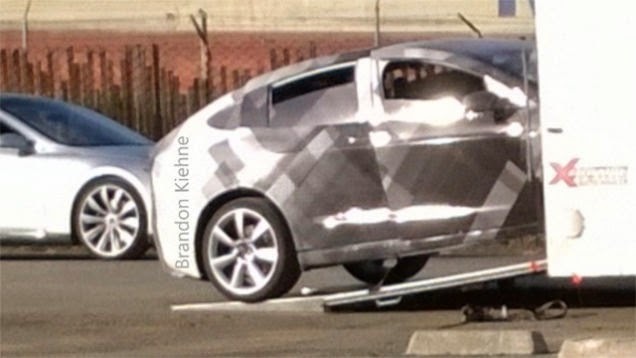 Unless they've decided to use a Prius platform iinstead of the design that's on their website, that ain't no Model X.